Sentencing is about the circumstances of the offence and the offender. You can help the Judge by writing a reference or character letter. 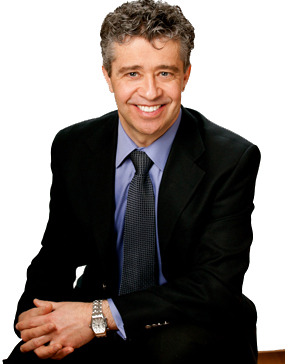 Learn how from Toronto Criminal Lawyer Craig Penney's 20 years of experience. How to write a character or reference letter for sentencing? If you've been asked to write a character letter for a person being sentenced, this is your chance not only to help the accused but also to meaningfully participate in the sentencing process. The Judge needs your help to ensure that an appropriate sentence is imposed. To write an effective reference letter, you must understand the Judge's role. Sentencing is about understanding the circumstances of the offence (the crime) and the circumstances of the offender (the person being sentenced). Your job is to help with that second task. Imagine the Judge saying to you "To impose a fair sentence for this crime, I need to know about the accused as an employee, friend, neighbour, family member, member of your church, etc." Review below my guidelines for writing a character letter for sentencing, along with four sample letters. These letters are only meant to give you a feel for the task ahead. They are not templates. You sometimes hear Judges remind everyone that sentencing is an individualized process. There is no one-size-fits-all rule. That's even more true for reference letters. Write your own letter. Write from the heart. Make your own contribution. 1) Writing a character letter is voluntary. The decision is yours and yours alone. 2) No one should tell you what to write or not write. The letter is about you speaking to the Judge about the accused. It must be written by you and you alone. 3) If you know the Judge's full name, include it with the Judge's title and the Court address (as you would with any formal letter). If you don't, you may start your letter with the salutation "Your Honour:"
4) At the top, date the letter. At the bottom, place your signature above your printed name. Keep the re line simple; for example: "RE: John Doe — sentencing hearing"
5) At or near the start of your letter, identify who you are, what you do, how you know the accused, and how long you've known him. If you are informed about the offence, confirm that fact. 6) There is no set format or expectation. Write from your perspective. How do you know the accused, and how can you help the Judge understand "Who is Mr. John Doe?," the person being sentenced. 7) Your role is to inform, not to advocate. Avoid any plea for mercy, or any suggestion regarding the appropriate sentence. Don't suggest to the Judge what Her Honour should do or not do. 8) If you are aware of any rehabilitative steps, of any remorse expressed, or of the impact of the criminal proceedings upon the person being sentenced, you may include your observations (see sample letter #1 below). 9) Avoid minimizing the offence or any aspect of it. The Judge does not need your help in understanding the facts. The facts have been determined. 10) Everything you write must be true. Providing false or misleading information could result in obstruction-of-justice charges. If you cannot write an honest letter, write nothing. 11) The Judge will consider your letter without your personal attendance. If you attend the sentencing hearing, the Judge might allow you to read your letter to the Court. There is a small chance the Crown or Judge might ask you questions under oath — that's rare, but possible. 12) Do not send your letter directly to the Judge. This can create an awkward situation, as lawyers are responsible for presenting the evidence (often after consulting each another). If you are not sure what to do, contact the lawyer of the person being sentenced or seek advice from your own lawyer. My name is Brother Doe and I am John Doe's older brother. I have spent my whole life with him as we grew up together and worked together at my father's company until 3 years ago when I parted ways to start my own company. I understand that my brother is being sentenced, and I wanted to provide some information about him. John has been nothing but dependable friend to me my whole life. If I ever needed a hand I could always count on him to come to my aid. John has on countless occasions gone well beyond all expectations to help me and my family. Further to this over the years I have seen him repeatedly drop what he is doing to go help friends, family and even strangers that he sees struggling and require help. Needless to say, that when I heard of his charges I was truly shocked as it did not reflect anything of the man I know. Over this past year, I have spoken with John on multiple occasions and it is very clear to see that he is deeply regretful for the offence he committed. John has shown nothing but acceptance and willingness to overcome his problem as it has affected him deeply. I do believe that the help he has received through therapy, and group sessions has made a positive impact on the man he is now. This past year has been tough for him as it has taken a part of his life away that he can never get back. He has two young children that he loves dearly and to watch them struggle while not being able to be with them regularly has impacted him greatly. Missing most of a child's second and fifth year of life, their birthday parties, school plays and at such a young age is just not replaceable as a father. He will forever hold this guilt in his heart as it is clear from his voice when we talk. John is a kind-hearted person who is always willing to lend a hand to someone in need. He has been nothing but a lovely husband to his wife and a caring father to his children. He would do almost anything to make their life better and I wish nothing but the best for him in his future. I have known John Doe as a colleague and friend for 8 years. When I first met him, he was a hardworking young boy who was a recent immigrant to Canada and was struggling to survive with a very limited income. Over the years, I watched him grow into a diligent and honest man who not only managed to secure enough means to help himself but also attained a position where he is able to help those around him. I found it inconceivable that he was charged with a crime. That was not the person I knew as a close friend. He has always been very respectful of legal boundaries. Over the last year, I saw him going through the legal processes. Being very close to him, I noticed a man who was deeply remorseful and often expressed regret for the one poor judgment call he made. I am convinced that this ordeal taught him a very valuable lesson and he is back to being the law-abiding citizen that he was. I have been made aware that he will be sentenced tomorrow before you Honour. I am glad that he is not in denial of the reality and is facing up to it. John has always been a great friend and colleague through thick and thin. He has helped me on numerous occasions and proved to be a true friend. I know quite a lot of other people who he helped and/or continues to help on a regular basis. He also financially supports his disabled mother consistently. He is also very close to the two autistic children of a mutual friend and colleague, who, while speaking of John today mentioned that his children do not open up to people easily due to their disabilities but John is an exception as they cheer up when they see him. Over the last few months, he incessantly visited his taxi-driver friend in the hospital who was critically injured in a fiery crash and was barely clinging on to life for weeks. Since the injured man was the sole wage earner for the family, John recommended his sister for a job at our company. He is always available for work and does his job professionally and responsibly. He puts more hours at work than anyone I know of. He maintains our company's equipment, collects coins and bills from the secure boxes and deposits them on a regular basis. His trustworthiness earned him this position where he is relied upon to handle large sums of money. John is a kind-hearted man who cannot see anyone in trouble. He is of good moral character, diligent, conscientious, honest, and a valuable resource to our company. I wish him the best in future. The purpose of this letter is to provide a character reference for John Doe who I have known for three years and have been in relationship with for the past two years and also have been living with for a year now. I understand that John is being sentenced for importing khat. In the time that I have known John I have come to see that he is a very responsible, caring and loving person. He has been supporting me financially while I was going to college, since it was not easy for me to go to school and also support myself at the same time as I was new to Canada, John has also helped me find a job, be independent and pay my student loan as I graduated from College. I honestly don't think I would have gotten through college without him. He has also always emotionally supported me throughout the ups and downs in life. John continues to encourage and challenge me to be the best woman I can be by being a devoted, caring and loving partner, He is also a strong role model in my life. John also supports his elderly, retired mother who lives in Toronto, as she cannot work to support herself due to her age and also several health complications. It is not only me and his mother that he has been helping and supporting but also his friends, he is always helping his friends and everyone he knows when they need it. He has a lot of responsibilities in his life. He is also tirelessly hard working, often staying long-hours at work since he does not like to leave a task for the next day, he is always trying so hard to get work done on time. His job and family have always been his priorities. If you have any questions for me please do not hesitate to contact me. I've known John Doe for 12 years. He's the type of person that puts everyone else before him. Since I've known him he's helped me and my family out so much, where do I start. My parents don't speak or understand much English. Whenever my parents needed help with anything from not understand a phone bill to buying a new car or garage door, he dropped everything and went out of his way to help by explaining what the billing people mean or what we should do or ask. Here is an example. One year at our old house our garage door was stuck in the middle of winter, mid day during a work week, I was at school with my other sister and I believe my older sister was getting ready for work that day. My dad was trying to open the garage door to shovel the snow. He couldn't get it open, now I know people would just think easy, call your uncles or your dad's friends. Well my uncles don't drive and we live a little out of their way and my dad wasn't a fan of asking for help. Who are we kidding, my dad was your typical dad and man he did not like to ask for help. John had called my sister on his lunch to see how her day was so far. She was explaining to John that our dad was having a hard time with the garage door. When John had finished at a job at a site, he was at the house in couple of hours helping our dad with the door. Trying to get the door open so that my dad would make it to work on time. It's not like my sister asked him or my dad told her to call him. He just showed up without asking to help. Here's another example. A couple of years later my dad had a seizure and ended up in the hospital for a month and half. John was there for all of us. He dropped everything to be there everyday. If he wasn't at the hospital staying by my dad's side while my sisters and I took care of our mom, let us rest and so that we can continue working so that we had some income coming to help with the bills at home. We never asked at all we had other family members that could have done all that but John instantly did it. After a month of being in the hospital my dad passed away. John did everything and anything he could for us, he stayed at our house without hesitating. My mom didn't like the fact we had a home without a male figure and present in the house. For us to feel safe or help us with mom's car or broken fridge or whatever it was. He was there. John is helpful, thoughtful, loving, hard working, and kind. Till this day he hasn't changed he still go above and beyond for everyone in his life. John is an amazing father. His kids look up to their father. He's taught them to be strong and independent. Every time I see the kids all they talk about is being like their dad fixing things and teaching them new things everyday. It's actually really cute every time something breaks or just needs a battery change little John says "it's okay aunty, daddy can fix it. Daddy can fix anything and everything because he's daddy." Michael does everything with them, arts and crafts, bike riding, reading books, coloring, baking, cooking, playing soccer etc. It's so easy to be caught up with life working being tired and say yea I'll do it that another day. When Michael told them they were going to go for a bike ride or bake those cupcakes for mommy he did keep his word. He's that person that keeps his word and makes sure his family and kids are happy. He's worked so hard to provide and build a loving home for his family. Everything he's done he's done it for the boys and my sister. He loves my sister and the boys so much. I can see that it's his world and with them in it. He lights up. Who wouldn't when you have a loving partner and kids it's the best thing in the world. Those are the only people that matter and make you happy. As an aunt to John's children, it's so hard for me to see them asking for their father. I don't know how to explain to them that they will see him another day. It's hard when they are so use of seeing their father on a daily basis and now it's every other weekend or day. It's like taking their favourite car toy away from them when they are so use it. I can't ask for a better brother in law, John is great brother in law, father, and husband. He's hard working, loving and selfless. He's always been there for me and my family from day one. I don't know how to thank him for being there and being him. He always been there through good and bad times for us. When any of us had a bad day he knew what would put a smile on our face weather it was a joke, a cupcake, or just a big cake, or a favourite candy or dish. That's him!